I’ll say it straight away – Reminiscence is a massively enjoyable release. Empress play grooving doom metal with progressive and sludge rock tendencies. Various influences can be heard across this release, but I like that Empress work them all into their own take on the style. From crushing sludge metal onslaughts, to resplendent post-rock moments, to psychedelic workouts…there’s a lot of juicy, compelling music on Reminiscence. The music has bite and attitude, and manages to combine both complexity and simplicity well on the songs. Melody is incorporated alongside the huge rhythm guitars enough to add an emotive edge, but not so much as to get in the way of them. 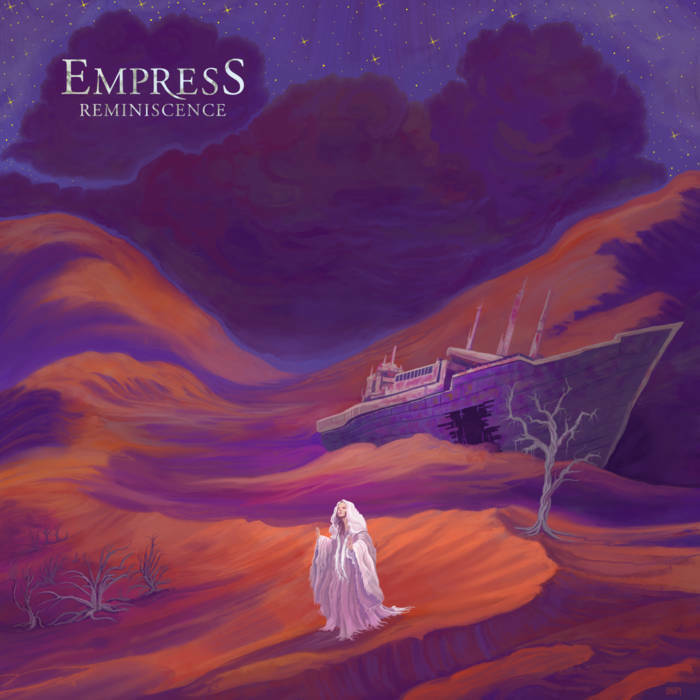 There’s a variety in Empress’ music that is expansive and exploratory, while still sitting nicely within the framework that they have set for themselves. Put differently; each of the songs on this EP has its own quirks, method of delivery, and personality, while still recognisably belonging together as a whole, with several musical markings that bind them all together into a holistic package. Whether shouting or singing in a semi-clean rough style, the singer’s vocals are exactly the kind of thing that you’d want to hear on something like this. His gruff voice accompanies the music like a primitive monster stalking through the woods. Think a mix of bands like Conan and Behold! The Monolith, as well as the earlier incarnations of bands like Pelican, Baroness, Mastodon, and Isis. However, although this will give you an idea of where Empress are coming from, you should really just listen to Reminiscence as there’s so much here to enjoy. This entry was posted in Doom and tagged Baroness, Conan and Behold! The Monolith, Doom, Doom Metal, Empress, Isis, Mastodon, Metal, Pelican, Post-Rock, Psychedelic Metal, Sludge, Sludge metal, Sludge Rock. Bookmark the permalink. I need to delve into this band.